It is hard to imagine Cuba without rum. Rum symbolises Cuba – Cuban culture and Cuban life. From the steamy heat of the night to the refreshing mystique of Cuban music and dance, in essence, rum is Cuba. The streets of Havana are lined with makeshift bars that spill into the gutters throughout the day and into the night, with minimalist furniture and unstable fluorescent lighting. 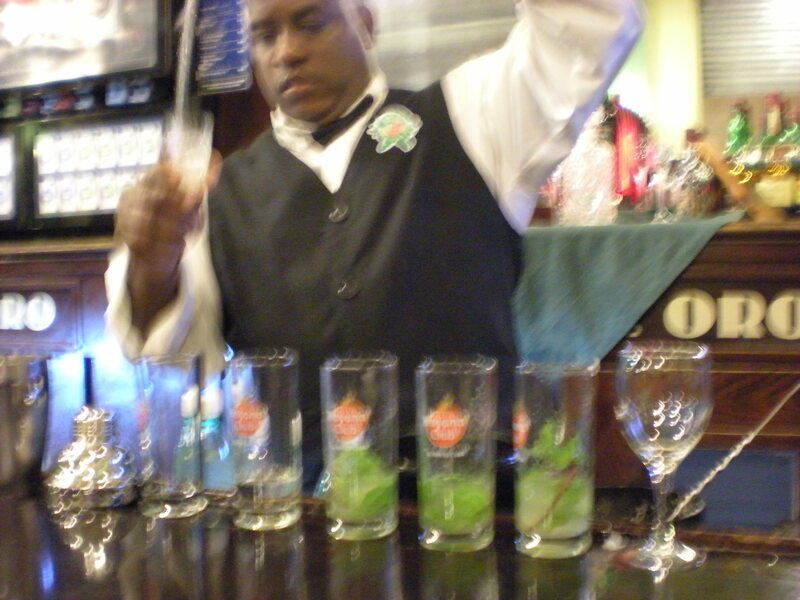 Bar tenders are not there to impress but rather have a simple quick in and out service dominated by the rum. The smells of 15-year old Havana club and mint circulate the air washed in with petrol and tobacco. It is clear Cuban life inspires those it touches as Matthew Bax – creator and owner of Der Raum (now relocated in Munich) and Bar Americano – sets sites on his new adventure – Bar Economico. 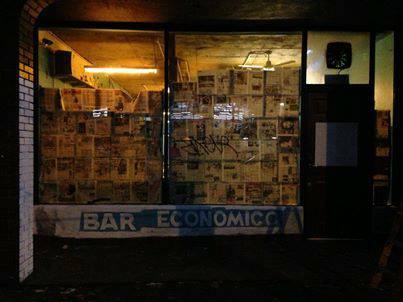 Economico has set up shop in the shadows of Der Raum where the exclusive bar has been turned into a shabby-chic ‘dive bar’ fit to resemble the street hangouts and waterholes so often found in Central America. From the caged bar area to the ticket booth at the back the bar depicts the rustic plight of street bar life. Despite the winter chills outside, the bar was steaming as if to simulate the humid nights throughout the region and the double cueing for your drinks only deepens the experience rather than annoy it. The pastel paint stripped walls and stark lighting bookends the themes of rum life. Equip with generous $10 Mojitos, Jamaican Blackstraps and nuts still in their shells, the bar staff are as serious as ever – with their skill that is. The high quality of the service and ingredients are synonymous with the Bax stamp and Bar Economico, despite its relaxed persona, is no different. Open from 5pm Thursday through Sunday this Richmond watering hole is sure to be swamped this summer. 438 Church Street, Richmond, 3121. ← five tips on searching for ethical coffee around town.